It was 1909 when Wilbur and Orville Wright finalized what the entire world had been waiting for—the Wright Military Flyer Model A. This new mode of transport would take the world by storm and completely reshape the future of military tactics and warfare. This was the first plane ever to be used for military purposes, by any government in the world! Of course, success doesn’t always come easy, and there were several hiccups along the way for the Wright brothers and the U.S. Army Corps. One of the very first test flights in 1908 quickly turned catastrophic when the plane malfunctioned mid-air and plummeted to the ground, killing the Army’s official observer, Lt. Thomas E. Selfridge and severely injuring Orville Wright as well. As terrible as this event was, the Wright brothers became more determined than ever to bring further progress to the United States military. Their invention came at a time when many nations were battling to develop new strategies of military advancement. This revolutionary new airplane ran on a chain-driven, 4-cylinder engine that produced 32-horsepower. The double propellers on the front were known as “twin pushers.” The final test flight lasted approximately one hour and twelve minutes at 42 mph—breaking the world record for the longest flight with a passenger. This earned the Wright brothers an additional bonus while also securing a spot for their names in history books all over the world! The successful completion of the Wright Military Flyer Model A, its testing phases and the concluding sale to the U.S. Army Corps, propelled the United States to the brink of a very exciting, yet unchartered territory. Over 10,000 wide-eyed Americans clamored to watch the test flights and to personally witness the final transaction of $30,000 to the Wright brothers for their part in an epic shift in history. One of these people was none other than President William Howard Taft. What an amazing time this must have been for the people of America! 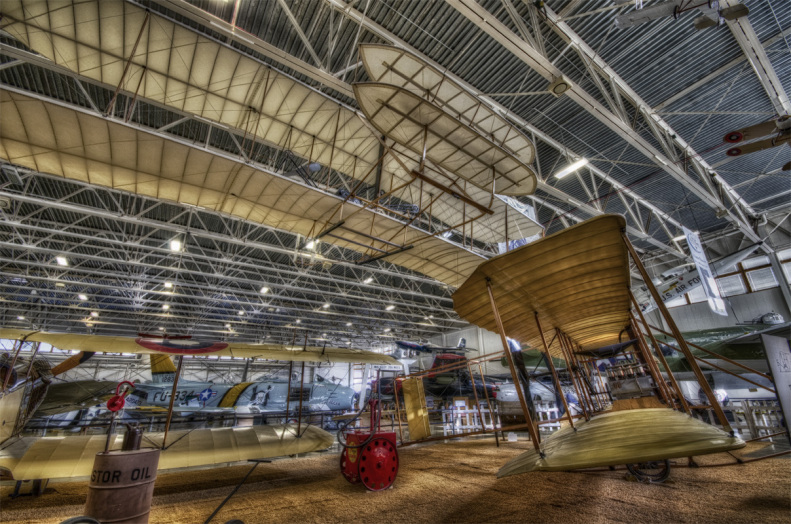 The plane was eventually dubbed the “Model A” and was primarily used for pilot training from 1909 through 1911. Though it’s life-span was somewhat short, it’s legacy will forever be of great importance to the United States. Not only did the Wright brothers push through the limits of their day to help the security of the United States, but they also provided new insight and technology for future aviation initiatives.